You might have heard of angel card reading which involves a different kind of tarot cards – one that is blessed by messages from angels and would only bring positivity to your life. 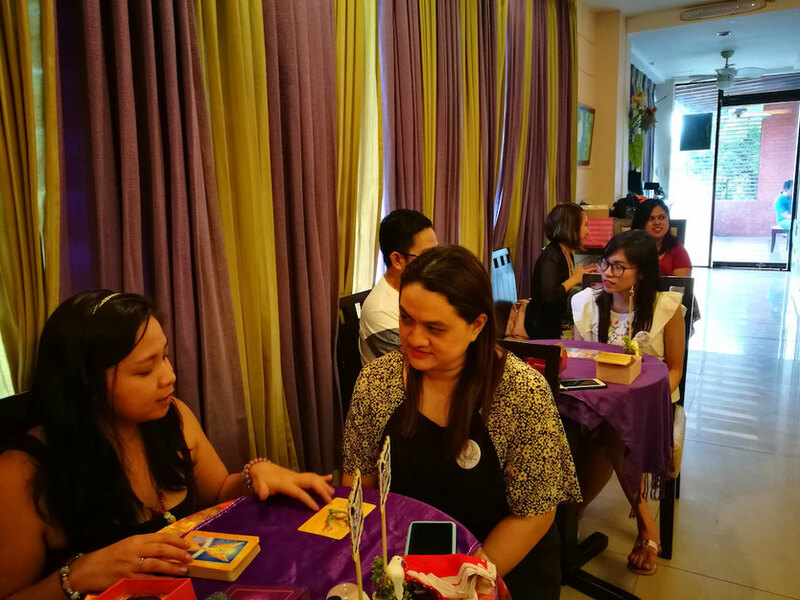 That fateful afternoon of angel card reading involved the use of cards (much like the tarot) but it is guided by the intuitive approach of angel card readers. 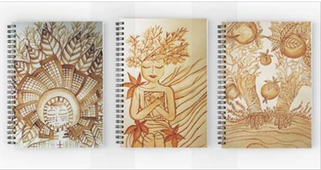 Besides reading what the cards say, the readers bring light to your deepest concerns and provide advice. I was so happy to receive the wisdom of Princess Buendia during the reading. I'm also grateful for the readings that I had with Jows and Tina. And yes, for the skeptics out there, I can truly say that the readings were spot on for me. 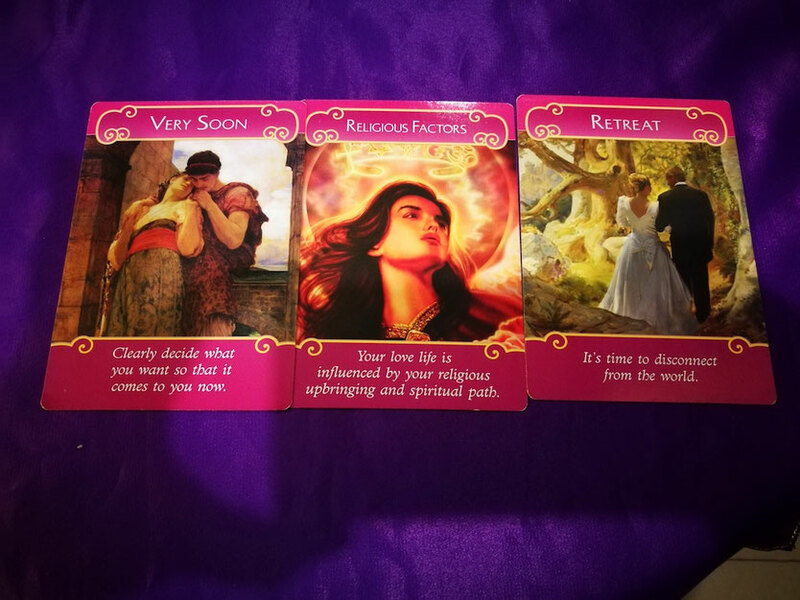 There were a lot of surprises during my card reading. It was so accurate that I would wonder how the cards would specifically show what I’m going through right now. And it’s not just vague guesses, but the specific issues with the correct parameters that are now finally brought in broad daylight. 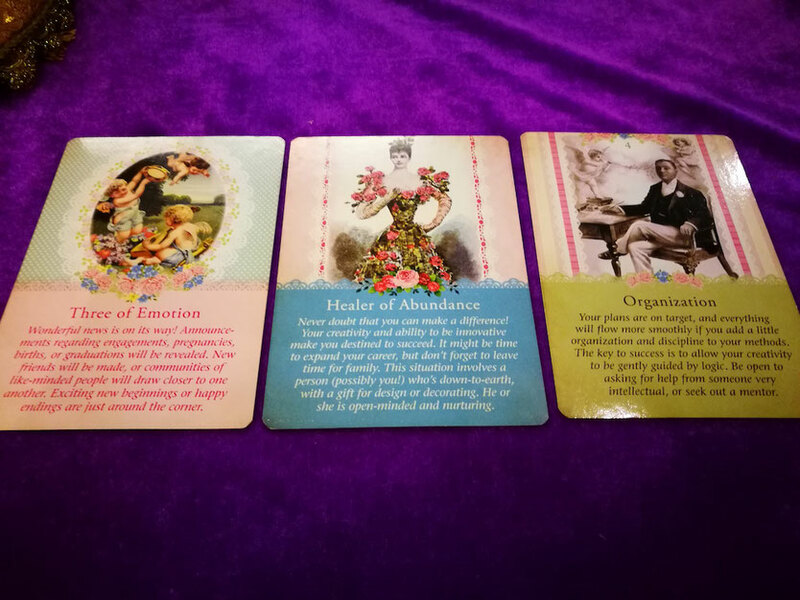 I got the chance to face these concerns in my life, and the wisdom of the angel card readers guided me on how to solve these problems. I felt a heavy weight lift off my chest. My spirit was brought to light. And yes, I felt the presence of my guardian angel and how he/she wants to make me realize some things straight up. Princess Buendia and her angel card readers are indeed a blessing to the world. I really do recommend that you give angel card readings a shot. You never know what’s going to happen, and the realizations from the readings will astound you. 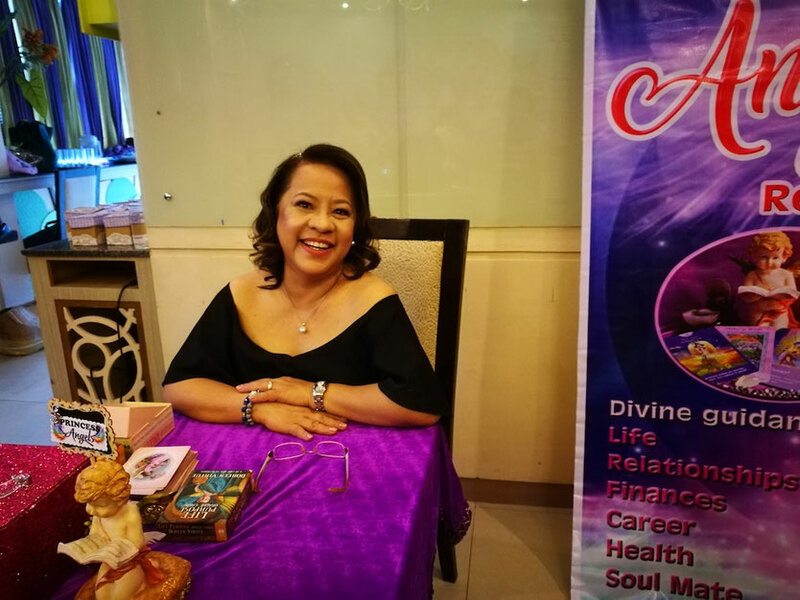 Princess Buendia and her angel card readers are part of the Mystique Angels community of Davao. 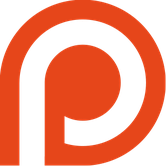 You can find there Facebook page here for more information on the readings and workshops they offer. 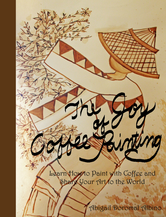 They also offer series of talks on A Course In Miracles at Café Demitasse (Tuesdays). 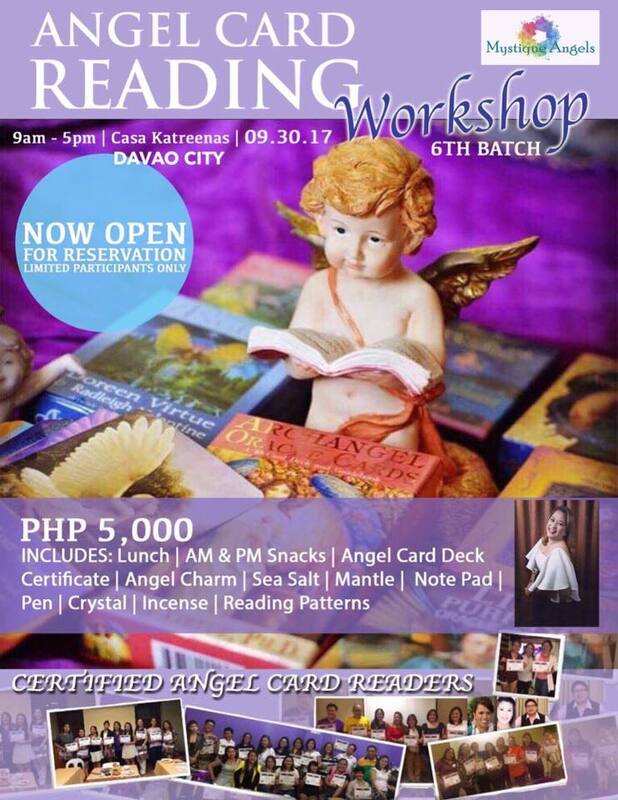 Their much awaited Angel Card Reading Workshop will be held at Casa Katreenas on September 30, 2017 (9AM – 5PM). 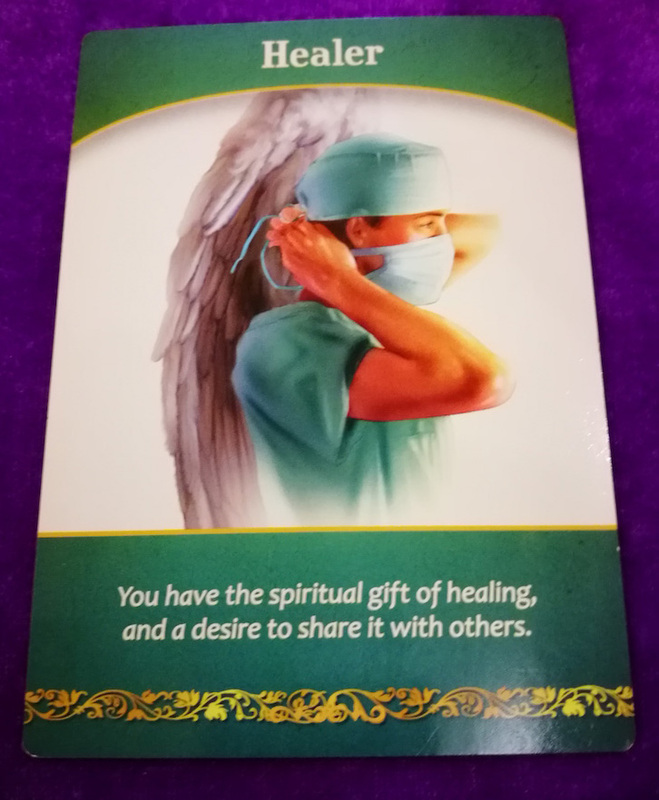 They call on intuitives, empaths, special gifted persons, or anyone who wants to heed the call of being earth angels to help their family, friends and community. This workshop will give you the opportunity to become a certified angel card reader. Registration includes lunch and snacks, angel card deck certificate, angel charm, sea salt, mantle, note pad and pen, crystal, incense, and reading patterns. Attending this seminar will make you a part of the 6th Batch of angel card reader graduates. Take this chance now because this will be the last batch on angel card readers that Princess Buendia will be teaching. 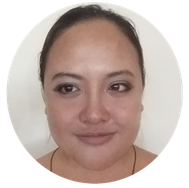 Future workshops will level up and focus on Angel Reiki Healing and other enlightening topics. Thank you so much Princess! It was an honor to receive a reading from you! There were a great deal of shocks amid your card perusing. It was accurate to the point that I would consider how the cards would particularly demonstrate what I'm experiencing at the present time You never comprehend what will happen, and the acknowledge from the readings will dumbfound you. In all actuality, good fortune represents one percent of the blessings we get throughout everyday life, work and love. The other 99 percent is because of our endeavors. I enjoy the idolization and love I have been getting from my fans and the blessings of seniors in my family. I see mankind now as one tremendous plant, requiring for its most astounding satisfaction just love, the characteristic favors of nature, and savvy intersection and determination.